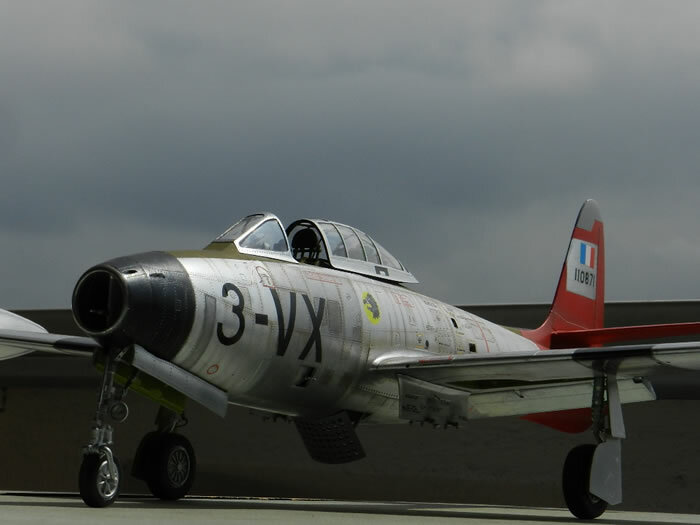 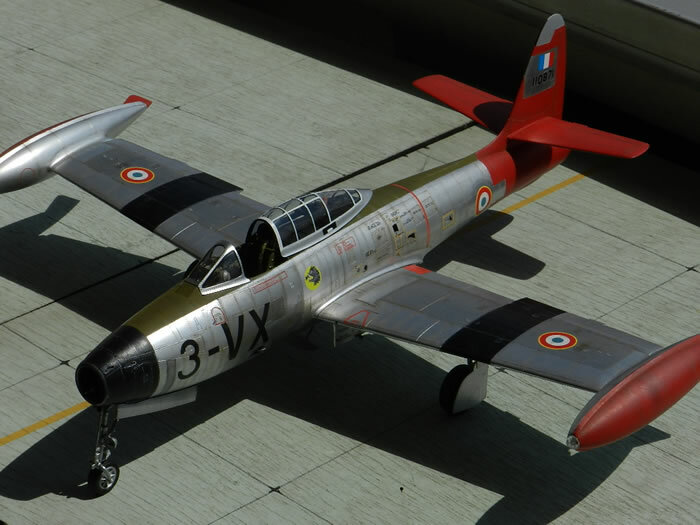 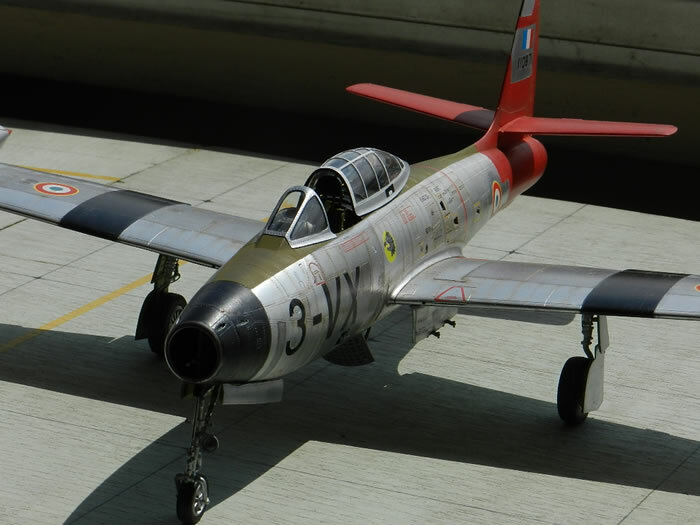 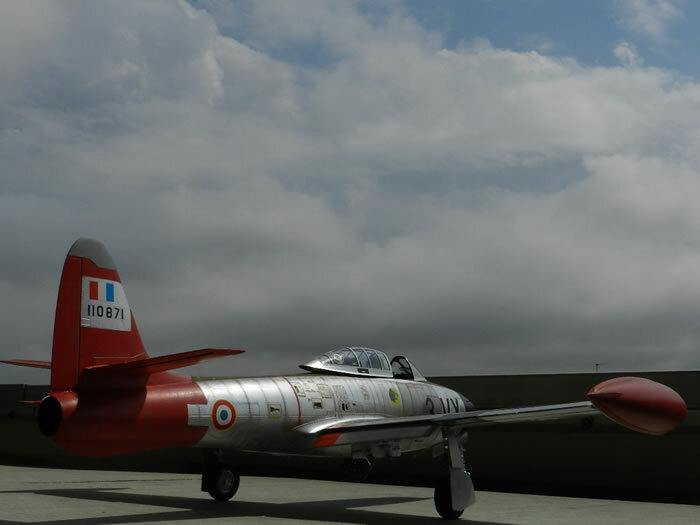 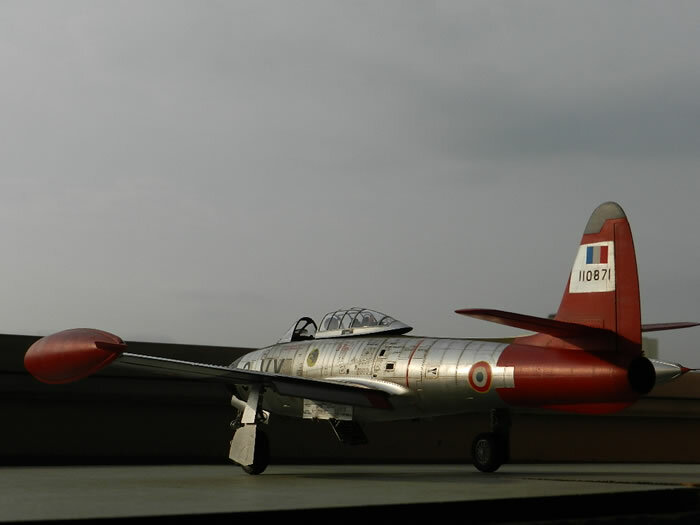 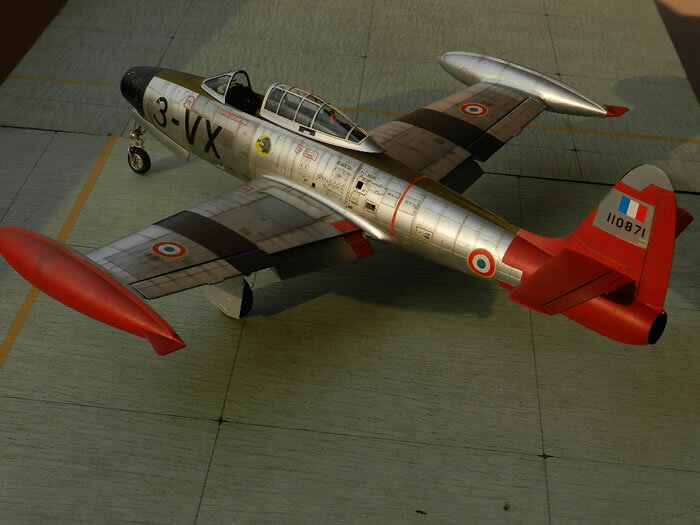 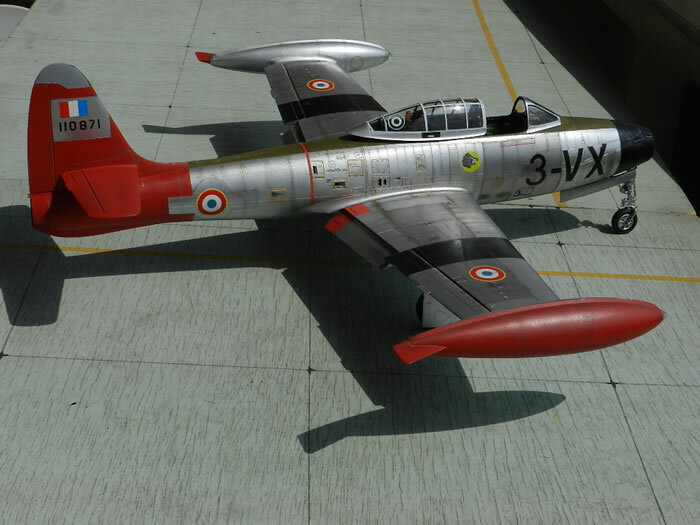 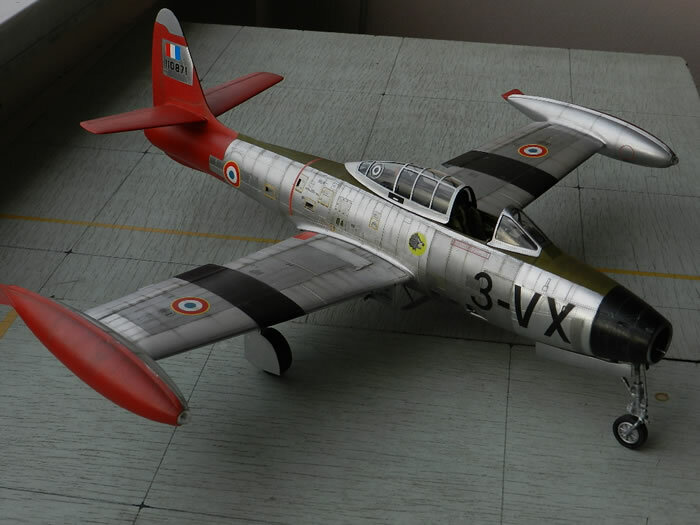 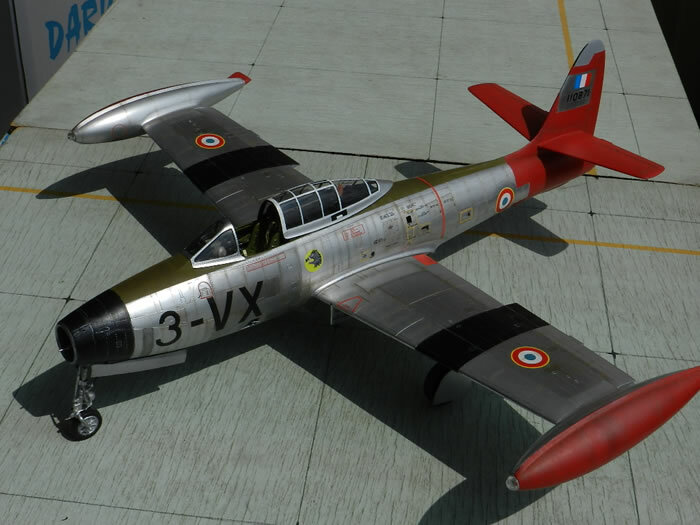 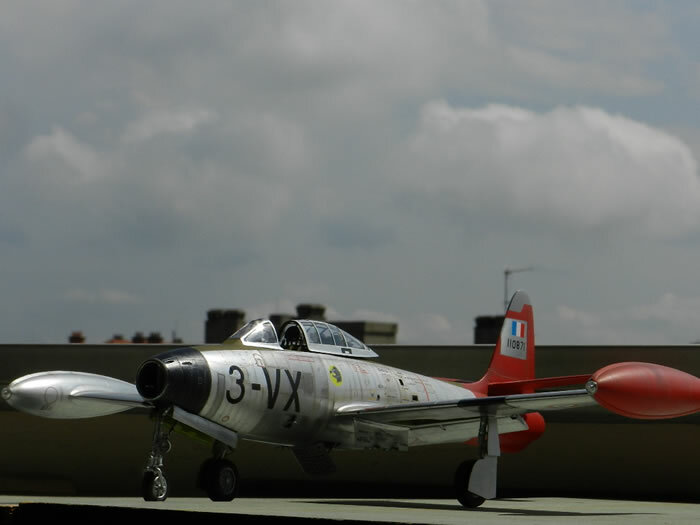 Here is my 1/32 scale F-84E converted and corrected to an F-84G. 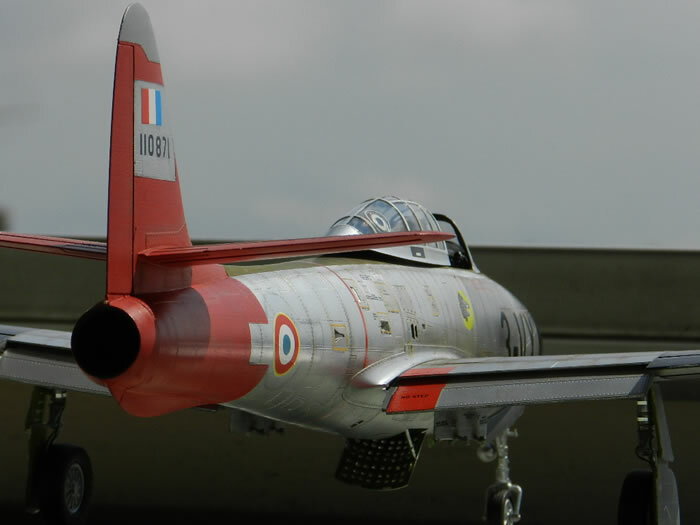 The letters were painted by brush, in addition to the badge of the wild boar. 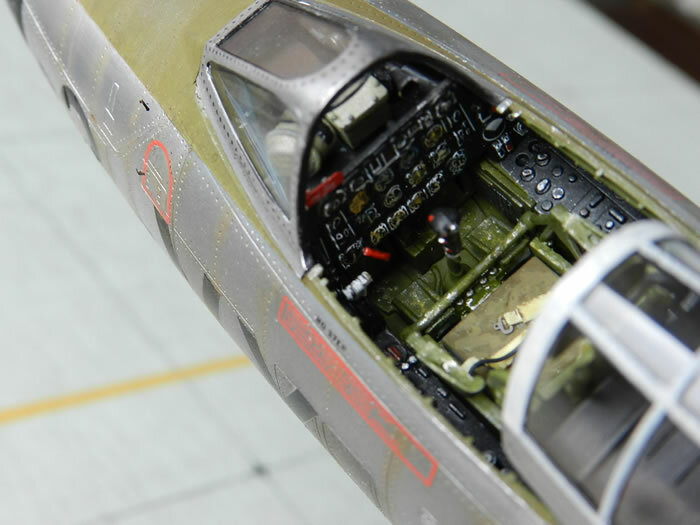 The bare metal finish was Rub 'n' Buff and Humbrol applied with the brush.